Stock is one of the most important investment made by the entity. Optimum quantity and turnover period is essential for entity to be successful. 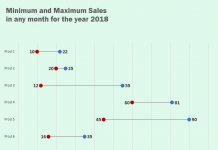 Faster the conversion, better the prospects for entity as inventories not converting to sales mean stuck-up cash. Lets understand how it is done. 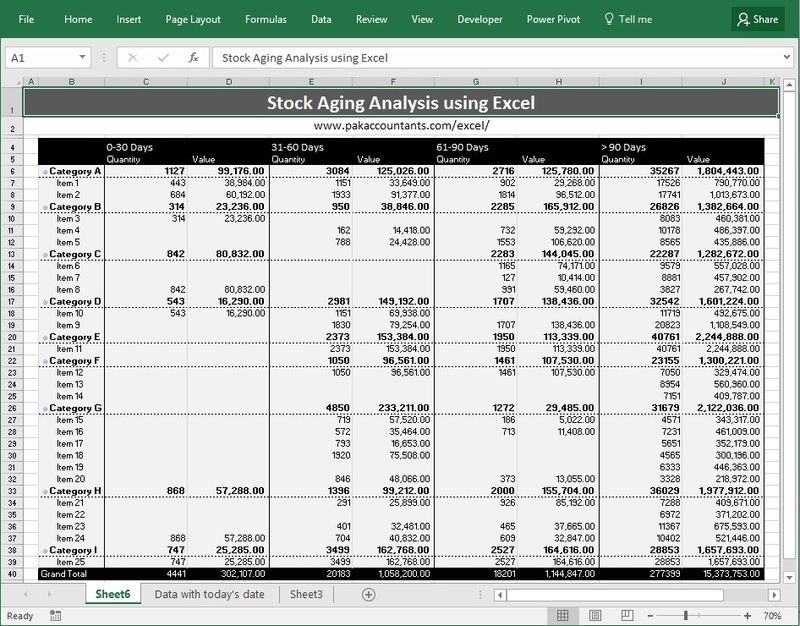 Step 1: Download this tutorial workbook that contains the data that we will use for stock aging reports. 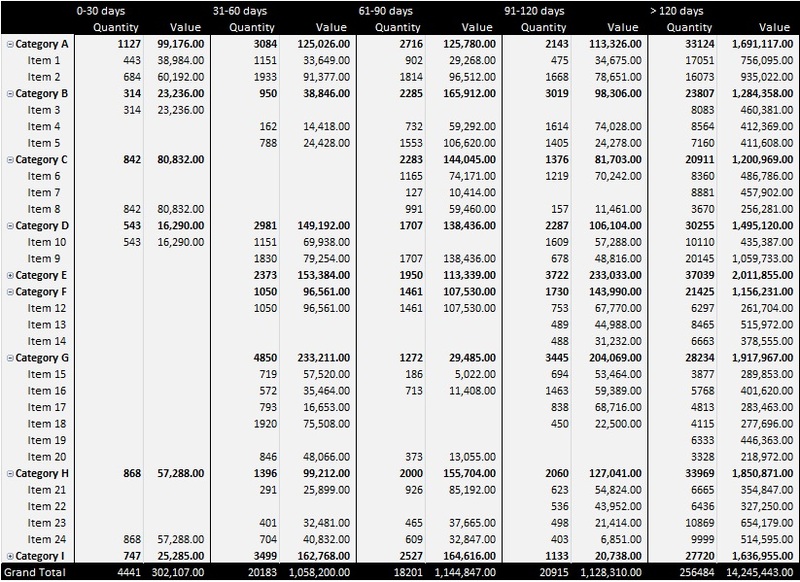 It has worksheet with several columns and data range already converted to Excel table. Step 3: Go to cell I4 and enter the heading “Status”. Click enter and it will automatically insert a new column to existing table. Step 5: Select the table by having an active cell within table and hitting CTRL+A combo. Then go to Insert tab > tables group > click pivot table button. A dialogue box will appear click OK. It will insert the pivot table in the new worksheet. Fixing the “Sum of…” part. 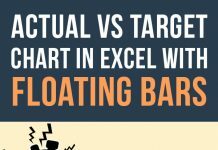 Simply remove the part from the formula bar and at the end insert space bar so that Excel don’t thrown an error. Move the column by holding on to the edge of “status” field in the pivot table to appropriate location. In my case “> 90 Days” column was appearing as first which should be last. So I moved it to the end. Change the style to your liking. Turn off header and grand totals if you like. Don’t worry about the font size, just to make it fit here, I have intentionally kept it at 70% so that you can see the whole report. Had it on 100% and everything is normal. What if we want to increase or decrease the slabs? We can definitely change the slabs and change the formula accordingly, however we can make it dynamic to great extent. For this we need to make few changes one time only. Now if you change the slabs, your aging report will update at the push of a button! Remember, currently we have 4 slabs. 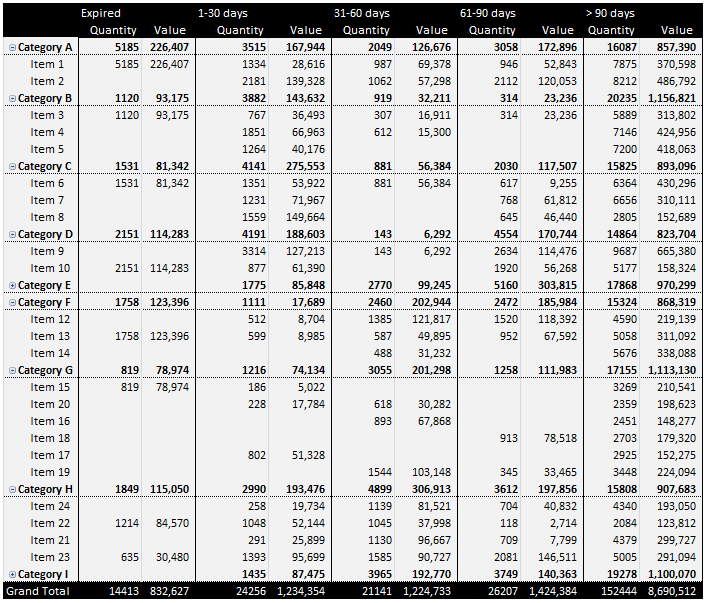 So here you have your own stock aging analysis report WITH dynamic slabs! HiFIVE!